Did Prime Minister Narendra Modi lie about the number of unelectrified villages in Karnataka? 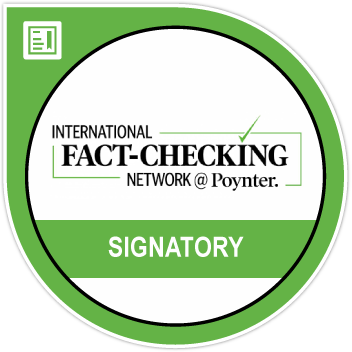 Pawan Khera, a political analyst working with the Indian National Congress quoted a tweet by another Twitter handle and said that the prime minister has been once again caught peddling misinformation. Khera said that while the PM claimed there are seven lakh unelectrified villages in Karnataka, there are only under seven lakh villages across the country. So, what did PM Modi actually say at the rally? 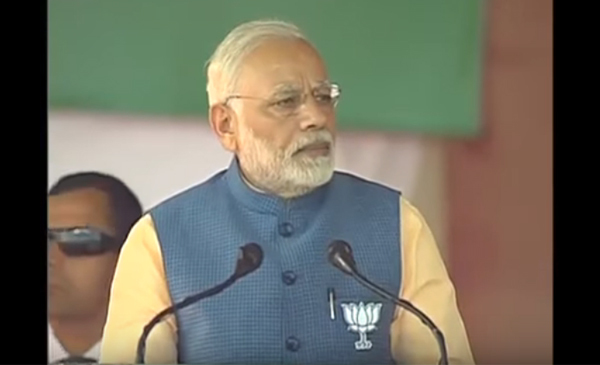 We looked at the speech by Prime Minister Narendra Modi in Bengaluru on Sunday, at a rally to mark the culmination of BJP’s 75-day across the state Parivartana rally. With elections due in April this year, Modi was at his combative best calling the ruling Congress government a ’10-per cent Sarkaar”. He also reminds the people of Karnataka about the Rs 16,000 cr Saubhagya scheme launched in September 2017 which aims to supply electricity to all households by December 2018. Modi then says that seven lakh houses in Karnataka will be electrified under this scheme and not seven lakh villages as claimed by Pawan Khera on Twitter. See the video given below. Interestingly, the handle quoted by Khera had used a image of a TV9 show coverage where the ticker clearly attributes “7 lakh villages are living in the dark” to PM Modi’s speech. This incorrect ticker image then formed the basis for several tweets. BOOM has not independently verified if the image showed in the tweet indeed belongs to TV9’s show on Sunday. We also looked at the dashboard on Saubhagya.gov.in where micro data on unelectrified households have been provided. Since the Saubhagya scheme started in the month of October 2017, the progress report shows that the number of unelectrified households have further come down to 6.49 lakh households. 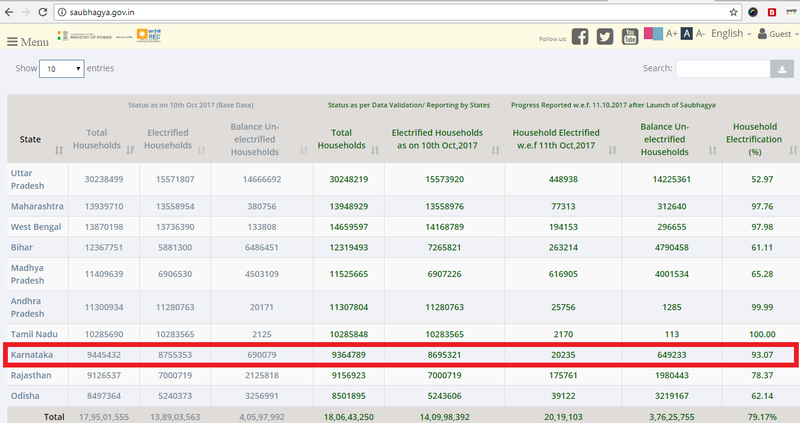 This is because 20,235 more households were electrified and also the total number of households were updated as 93,64,789 from 94,45,432 (as of October 10, 2017). Meanwhile, Khera is yet to either apologise for the error or delete his erroneous tweet.